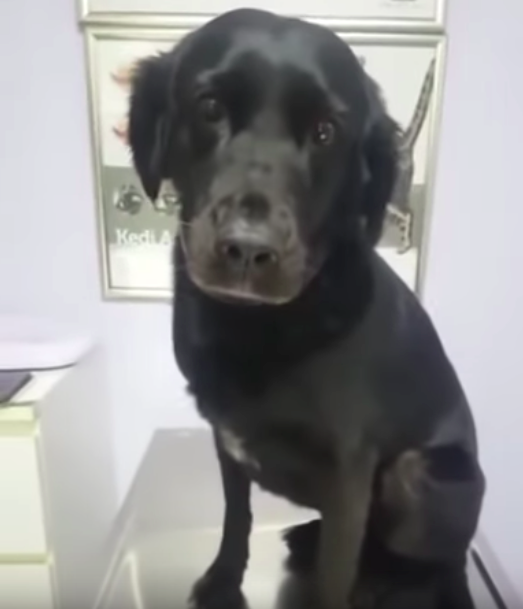 Lovable Dog At Vet Becomes Viral Hero After Taking Shots Like A Champ. Few people look forward to trips to the doctor, but at least humans have the wherewithal to know that an annual physical or a shot isn’t the end of the world. Our pets, though, are another story. For many, even the slightest mention of the vet sends them into a fearful daze. Who knows where the scary doctor will poke and prod me this time? But, of course, not every animal hates vet visits. Take this sweet black lab, for instance. She seems to know the drill like the back of her paw. She jumps onto the table and behaves like an absolute lady from the very start. 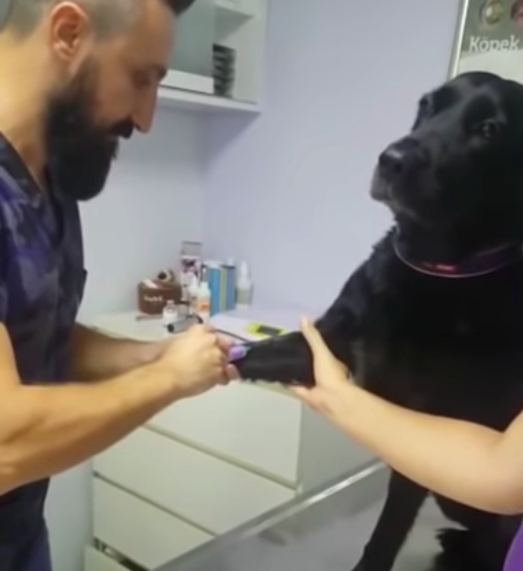 Though she does look at her mom, who is filming the sweet girl, with a little bit of apprehension, she doesn’t flinch when the veterinarian pulls out a syringe. 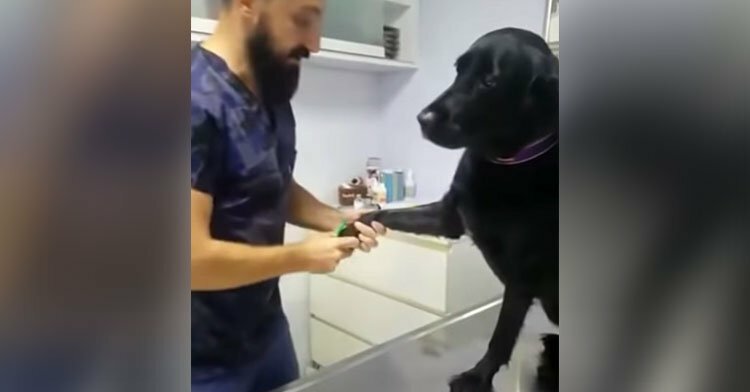 Vet: You’ll just feel a prick. Lab: Let’s just get this over with, shall we? The only thing worse than feeling that little jab is watching the needle go in, and this sweet lady seems to know that. Like most humans, she averts her eyes. She goes off to her happy place… a lush, green meadow filled with tennis balls, bones, squeaky toys, and squirrels! She is a true champion in our eyes! 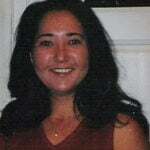 This beautiful Labrador didn’t need coaxing or encouragement because she’s a grown woman. Her mom must be so proud of her. 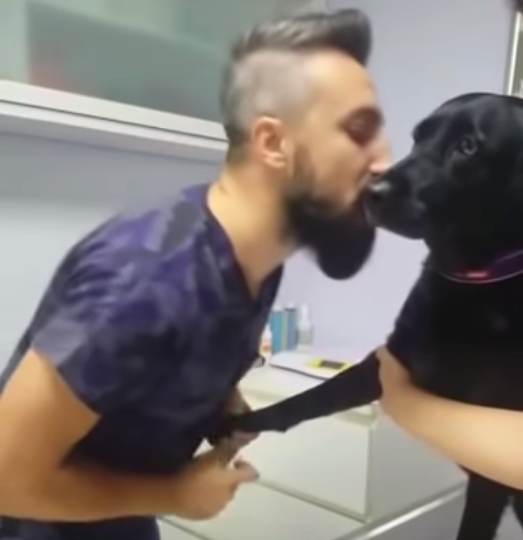 Watch the adorable video below and share with a dog lover in your life. 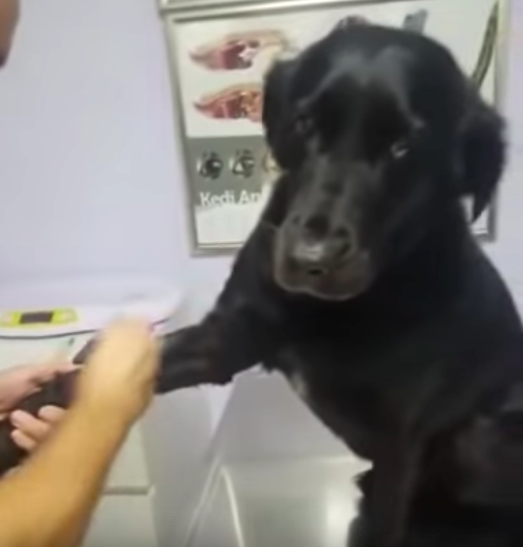 We should all be so lucky to have such calm pets (or children) at the doctor’s office!